Successfully saved Blender Chocolate Almond Butter Bars to your Calendar. You can also save the ingredients to your Grocery List. 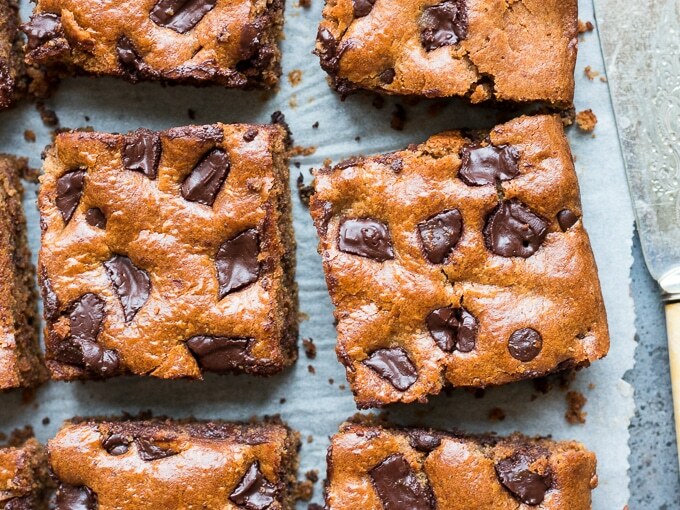 These easy blender chocolate almond butter bars are studded with dark chocolate chunks. Gluten free, grain free (paleo) and dairy free, a healthier dessert or indulgent snack!